May has evolved into Breast Cancer Awareness Month part 2. May ushers in the season of races. Other bloggers have written about this, as have I. In fact, I first wrote about my discomfort with too much racing, not enough curing five years ago. Yikes. Five years later and we are still talking about the same things – the vast amounts of dollars being raked in from all these races and the dismal amount of money (considering the huge budgets) being earmarked for research to find that elusive cure. 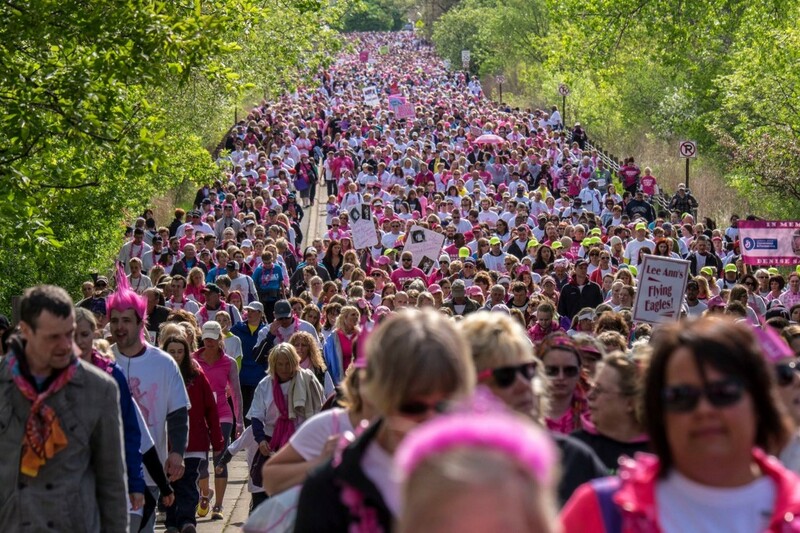 This post (again) focuses on the BIG race, The Susan G. Komen Race for the Cure, specifically the Twin Cities version. (I lived in the Twin Cities for years and still live nearby, hence my interest). So I am asking (again), can we really keep calling this particular race, a race for the cure? Because “to race” means to hurry in competition in order to complete or finish something. Cure means to restore to health or wellness or get rid of an illness or disease. Neither appears to be happening. Urgency seems lacking. There certainly is no cure. All this “racing” has been going on since 1983. The Susan G. Komen Twin Cities Race for the Cure® has been going on since 1993 and has grown into one of the largest such races in the country. The number of participants (in the Twin Cities event) has grown from 2,500 to 40,000. Lots of racing. Not much curing. Again, can we really keep calling this a race for the cure? I did a bit of wandering around on The Susan G. Komen Twin Cities Race for the Cure® website and thought I’d share a few of my observations. First of all, the race is always scheduled for Mother’s Day, because well, you know, there’s far more potential to rake in big bucks when you tap into a female-oriented holiday plum-full of emotions about mom, grandma, family and all that other warm and fuzzy sentimental stuff. The timing makes perfect sense from Komen’s point of view. This year’s event is once again held at Southdale Center (hey, that’s the mall I mentioned in my memoir, btw) in Edina, Minnesota because of course when you’re finished racing, what better way to spend the rest of your day than to go shopping at the mall, right? As stated on the Susan G. Komen Minnesota site, the intent of this event is to raise funds (at least this is honest and listed first), bring awareness (about what? ), celebrate cancer survivorship (feels patronizing to me) and honor those who have lost their battle (ugh… still embracing the battle talk, and I do not feel my mom is being honored here). To promote positive awareness, not just awareness, positive awareness. What does this even mean? Early detection – still the main message, even though it’s an incomplete, rather stale one. Early detection is NOT a guarantee of a cure and it certainly is NOT prevention. We all know mammography has come under tremendous scrutiny of late. And breast self-exams per se are not even recommended anymore. Not necessarily fatal – what about the stage iv people? Guess they’re left out. Again. And do you hear the subtle blaming message tucked in there? Sounds a little like finger wagging at metsters – if only you’d had that mammo or done that self-exam you might not be dying now. Do you hear the shaming message? I do. The race is an emotionally charged event. This is true enough, however, I would say the race exploits people’s emotions and vulnerabilities. I wrote more about this in my earlier post, so I won’t rehash it here; but I will say, please stop assuming all of us love the crazy (too often demeaning) pink shenanigans going on at such events. The race is an “opportunity” for people to “spread the breast cancer message within their communities”. What message? Very vague, don’t you think? Next, I visited the race information page in order to learn about fees. To participate you must pay a fee of $25 (early registration fee) or $35 (later registration fee) or $40 (same day as race fee). I also found it interesting that even children under age 12 pay fees, again, based on time of payment ($12 early) or $17 (later) or $20 (day of race). So just going with the early registration fee of $25 and multiplying this by 30,000 participants (a conservative number according to the stats), this gives us a grand total of $750,000 raked it from this one race. Now granted, there are expenses, involved. All participants get a t-shirt, a race bib, wrist band and refreshments. I am no mathematician, but these races bring in a lot of money. You can read Komen’s FY15 report with specifics here (p. 14). Why aren’t more of these dollars raised being spent on research? Again, lots of racing, not much curing. Considering Komen’s substantially sized budget, is 20% on research (check bar graph on p. 14 of report) enough? I say, no it is not. Nearly half of Komen’s new research funding in FY15 was focused on metastatic breast cancer. Landmark report from Metastatic Breast Cancer Alliance (Komen is founding member) found MBC research to be underfunded and identified opportunities to close gaps in understanding MBC and support for people living with MBC. It took over 30 years to conclude that MBC is underfunded, that there are gaps in understanding it, as well as gaps in support for those living with it? Seriously? Komen has always been about racing for the cure, so this “oversight” makes no sense at all. It also makes me wonder how much further along we might be in this “race” had more dollars been spent on research over the past 30 years. I want to be very clear that I commend race participants for wanting to do something. They care. They want to make a difference and they do. But there is potential for them to do so much more if only Komen would shuffle dollars around AND update the messaging. The burning question for me is still this one: is 20% spent on research acceptable when as the race name suggests, we are racing for the cure? And this one, can we really keep calling this a race for the cure? 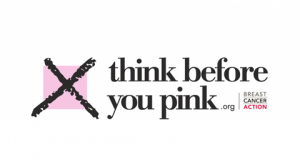 Remind others as often as possible to, think before you pink. Part of this thinking should include reading and sharing: four questions to ask before you participate in or donate to a breast cancer walk. Do you, or have you ever, participated in such races? Do you feel May has turned into Breast Cancer Awareness Month, Part 2? Do you think 20% of Komen’s budget earmarked for research is adequate, especially since we are “racing for the cure”? This is awesome! Our RFTC isn’t until October, but do you mind if I share this on FB? I’d love to head off more of my friends from registering – maybe even suggest they send their $25 race fees to Metavivor.org for research that will actually find a cure. Andi, Of course I don’t mind. Share away. Thank you for reading. Thank you for this. 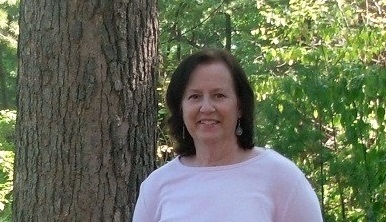 I am a breast cancer survivor and lost many pink sisters. I am outraged that our cancer has turned into a money marketing scam. My friend died at 39 so early detection is a myth. Not only have we extended the age of when you can get a mamogram from 40 to 45 but we have insurance companies denying biopsies. What is komen doing for these young woman like me. Absolutly nothing. Aimee, I am sorry about your friend. Thank you for sharing. I do not run this turtle race, having figured out a while ago that most of the race “profits” go to those gainfully employed by the agencies involved. Ditto United Way and a few others. My dollar goes to groups that get the biggest bang for the buck. Part of my concern is also on the research conducted, which seems to be on the same old tired lines of chemo, radiation, and hormone therapy. Isn’t that like cheering the chubby person to stay on the same non-working diet plan for 50 years…why, why, why? Maggie, Good for you for donating to groups where you feel you get the biggest bang for your buck. Good point about the research. I can’t really speak to that, but there isn’t always transparency regarding what exactly is being researched and herein lies part of the problem. Komen is still the biggest sponsor of these races and I just don’t feel 20% is an adequate amount to earmark for research. Hello Nancy- hope it is ok if I share this with the komen mn office. They have 2 of us (metsters) on the committee and are committed to reaching out and making sure mets is a part of the conversation. I know we have talked about this before. I think national is different from local affiliates and our local affiliate does some amazing work here for underserved communities. Without those dollars a lot of women and men would miss out on services that are extremely helpful during a very difficult time. While it seems as though awareness is over done some of the dollars go to areas where there is no awareness or communities where there is still a terrible stigma around this disease. You know I want $$ for research, I am 2 years into this metastatic disease which doesn’t bode well statistically speaking. I think the time is ripe for all of us to work together. Komen, metavivor, met up,mbc alliance. We need to make sure all areas are getting covered. I realize the dire need believe me. I do happen to love the race on Mother’s Day and the community that rallies around us, newly diagnosed, metastatic, 20 years out. It is really something when we are all walking together. I have the list of where the money goes locally and how much, I would be happy to share it. Thank you for this post and I always appreciate the conversations it inspires. Leslie, It’s good to hear from a race participant and a Komen supporter. I stand by my words in the post. Did you read my bullet points? You are undoubtedly right that there is a big difference regarding local affiliates and I am happy to hear the local MN affiliate is doing some great things. However, I just don’t feel Komen has done enough over the last 30 years as far as designating dollars for research, especially with the racing for the cure mantra. I do believe change is in the air. I also agree it’s time to work together. But Komen needs to better embrace the metastatic community, update its messaging and designate more than 20% to research before I can support the organization. I understand the camaraderie thing, but for me it’s just not enough. Bottom line is I expect more from a major player such as Komen. Thank you for sharing your insights and sure, you can share with your affiliate office. They need to know there is still great discontent out there. I was aware of breast cancer. I got mammograms and did self-checks. And I am stage 4! So much for early detection. I want myself and my family to spend the Mother’s Days I have left together, not running races to fill the coffers of Komen. Vickie, Thank you for sharing the link to your recent, well-researched post on Komen financials. So important to get the facts. Thank you again. Nancy, there’s so much truth in this post as well as great observations. I participated in races before my diagnosis and after finishing treatments, but I did not inform myself about how they spent the money. By the third walk, I was already feeling odd and it just didn’t feel right for me to continue doing the walks. I agree, many of them seem to focus on survivors, and stage 4 often gets left out. I’ve never done a Komen race and never will, unless of course, they change their research focus. I have not seen much promotion for these races lately, but I have been reading about other people’s participation in them, so yes, it does have some of that ‘October feeling’. I said before, and I say it now, my current state of mind has a lot to do with the fact that I am aware that if I ever face stage 4 my options would be limited. So yes, MBC needs more attention, because I believe the outcome would impact everyone, including early-stagers. Rebecca, I haven’t ever participated in these walks and races for various reasons. At one time I thought they sounded great, but now, not so much. And yes, MBC needs more attention and lots more research specific to it. And as you pointed out, in the end, this helps every stage and all types of cancer. Thank you for reading and sharing. I was gonna yell, no October part 2 starts in April–not May. But then I reminded myself that it is still probably pretty chilly in your neck of the woods. Here at the Mid-Atlantic beaches, this crap starts up in April (which I wrote about a couple of years ago I think). It’s like, there is never a break from it! As for the association with Mother’s Day, this disturbs me greatly. My maternal grandmother, aunt, and myself all had breast cancer. The odds are very much against my Mom. I’ve come to resent the Mother’s Day -breast cancer linking. I wrote about it too, a couple of years ago. Hmmm, maybe I’ll re-post. Anyway, I’m not as anti-Komen as others–because I can pick on any and every org–and because all the stuff I hate gets all tangled in my head (like the Save the Ta-Tas group). I tend to throw up my hands and brush off all of them. It is very hard to separate it out, to realize some groups are OK, that even some affiliates (as mentioned in another comment) also , do right by some patients. But yes, as Komen is THE name, they do need to do better. They are so freaking stale!! CC, Yeah, it’s chillier here for sure. Like Beth said, the stuff sorta goes on 365 days a year now. Your resentment about the Mother’s Day-breast cancer link is understandable. Drives me nuts. And yes, Komen’s messaging is stale. Some simple updates and shuffling around where dollars are spent would do wonders for their image. So why don’t they do it? That’s what I don’t get. Thank you for reading and sharing some thoughts. When I was a newbie and fresh out of treatment and didn’t know any better, I participated in a couple of races. A former runner, I used to participate in races for every single cause on Earth. But now that I know the truth about Komen — and am very skeptical about the other causes in terms of where the funding is going to — I no longer participate even though I can walk them. Regarding breast cancer pink parties, this is a 365-day-per-year celebration, it seems. Yes, things start up full force in May, but there’s always a reason for breast cancer happy parties, which incidentally piss me off. All year-round. There are pink ribbon ornaments for Christmas, for example. We can NEVER escape them. Thank you for a thought-provoking, insightful post. Beth, It’s kind of sad how skeptical we have to be. Yesterday (Mother’s Day) I was watching the Minnesota Twins with my dad and there were the players all adorned in pink. Really? It’s like breast cancer is the only women’s issue that gets attention. Seeing them made me bristle even though I know the intent was the exact opposite. I couldn’t bring myself to watch the local news coverage about the Komen Race for the Cure last night. Just couldn’t do it. And yes, the Christmas ornaments…Sigh…Thank you for sharing. Love the Cancer Rebels who see behind the big questions. For the Cure or For the Score? Wonderful, highly motivated people giving of themselves, but is all the effort and caring misplaced feeding the wrong giant? CancerPunk, I can’t worry about that. I can only share from my perspective. Thank you for chiming in. Great article!! I was diagnosed 4 years ago and far too many people I know continue to be diagnosed. We need to PREVENT breast cancer!! I walked in Komen walks in the past but can no longer support them. I support a local grassroots group here in San Francisco (as a walker and with donations) that gives money raised to three local non-profits that serve low income women with breast cancer. They also give to Metavivor where all funds received are earmarked for research. Mary, It sounds like you have made some very good, well-thought-out choices about who you support. Good for you. Thank you for reading and sharing. Excellent article Nancy. I am sorry for your loss. No matter how many years go by, when it’s Mom, it’s going to be raw. I think so much of this is marketing under the guise of awareness building. Not that this is necessarily bad. One of my family’s mom’s died of it well before pink, and well before the words breast cancer were a house hold name. As I understand it, that in itself made things significantly harder. For all the funds spent on detection, why is it the people (note pleural) I know who have been diagnosed with it in the past five years, more than half had metastatic disease and one died in spite of everything. I think the “marketing” plan needs changing. I hope cancer doesn’t turn out to be this generation’s version of bad things happen to good people. Finally, for what it’s worth I did not even know Komen did much research funding. I always associated the Foundation with providing exams and mammos for women without such access. Now with Obama care, that need should change. Like government, good projects can become top heavy. I applaud you for pointing out that donors need to be discerning about where their money will best service the end user, and organizations need to reinvent and for the same. I agree, no one seems to be racing anywhere except maybe to the accountant? Susan, Thank you for reading and for your kind words. Funds spent on awareness, education, helping with costs and so on are ALL important. I applaud Komen for helping in those areas. But when you’re one of the biggest players, allocating 20% for research just isn’t good enough. 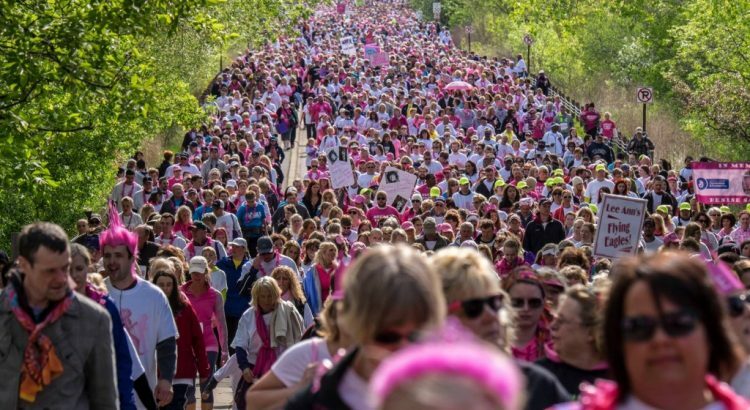 My daughter and I walked 4 Komen Breast Cancer 3 Days and earned over $25,000 “For The Cure” before they took a political stance against Planned Parenthood …one of the places available for women of all income levels to access early detection. It was then I also found out how much/little money was going into research. I made the decision to not walk for them again. The event itself was inspiring and one in which many close bonds were made…for that I will be forever grateful. Faustine, Wow, that’s a lot of money you raised. That Planned Parenthood stance Komen took was horrible. I wrote a post on that. I’m glad you learned the facts about the research dollars and then made the decision to not do those walks anymore. Good for you. Thank you for sharing. Hi Nancy. My mom posted this a few months back and I’m rereading it. She sadly just passed away from mets in her brain. I miss her so much and I want to honor her this October (and always). She was strongly against pink washing and hated breast cancer awareness month because 1 she was diagnosed that month and it was always thrown in her face with all the pink and 2 she was super skeptical and disappointed in all the funding not going to research only. Anyway, what organization is the best organization to donate to? What do you think I could do to honor her? No wearing of pink… just want to get the message out there about this issue. Megan, I am so sorry about your mom. My condolences. As for your question about what to do or who to donate to, that’s a personal choice. Personally, I appreciate the work of Metastatic Breast Cancer Network, METAvivor, and BCAction. There are many to choose from. And there are always local charities that focus on doing things within your community. You could always donate to the medical facility your mother was treated at or to a research institution. Or think about what her interests were – not necessarily cancer related, and donate to them in her name. Again, I’m very sorry your mom died. I hope October isn’t too rough for you. Susan G. Komen left a bad taste in my mouth. I was undergoing treatment for breast cancer and tried talking to a representative. I explained my situation, I was unable to work because I was undergoing treatment. Her response was, we don’t help cancer patients, we only do research, how much do you want to donate? I was surprised at her response. I called the local office, not only once but 3 times and got the same answer. How much do you want to donate? They offered no compassion of any kind. Just how much do you want to donate. Char, You aren’t alone in experiencing that bad taste. Komen allocates less than 20% to research, so her response wasn’t even accurate. I’m sorry your needs weren’t better addressed when you called on them for assistance, though I don’t know what your request was for. I have heard they do some great things on a local level. Guess that wasn’t the case for you. I’m sorry. Thank you for sharing.